We have a selection of three sizes of fruit bags for you to choose from. 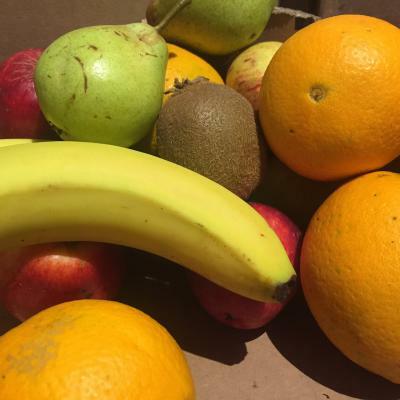 Click on the selection below to find out what tasty organic fruit could be delivered direct to your door! This Fruit Bag is a match made in heaven for people who like to eat fruit every day or indeed if you are looking for plenty of fruit to fill lunchboxes throughout the week! You will receive about 16 pieces of organic fruit including Apples from our Orchard in the Autumn. This is the fruit bag for the many, not the few! Just click the image if you want to see what's coming in the bag this week. Unlike it’s large counterpart, this is the bag for the few, not the many. With around five pieces of fruit in your bag every week, this is perfect for the occasional fruit-eater or if you just want a snack to take to work.